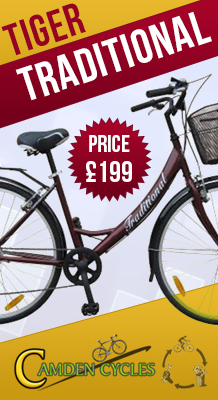 Chelsea Bikes is a family owned business and have been working in London since 2011. We are providing high quality bicycles to our customers so that one can enjoy the amazing experience of riding. Our rides are really comfortable and equipped with best quality parts to give long lasting experience to our customer’s ride. Through this journey we got many customers who visit us on regular or monthly basis and take advantage of our free advice. It is our passion to serve the quality product with highest level of services which makes our customers so special and loyal towards our brand. People believe in our right advice and they are satisfied with our services that cuts down their daily cost occur on their ride. Our customers always find us in a good and helping way which gives them high comfort level. The best part is that we also deal in used bikes and we provide exchange option for customer’s old bikes. We believe to give excellent services that satisfy our customers. We are not that type of company who always has intention to get the money out of your pocket. Chelsea is brand on which people believe and trust that they would n’t be charged for the work which has n’t being done. Our display centers and our team always welcome to everyone for free and fair advice about your ride. We have expert mechanics that got vast experience in assembling and repairing industry from renowned companies.